How will this surgery benefit me? To reverse facial aging, sagging and heavy jowls and neck laxity. 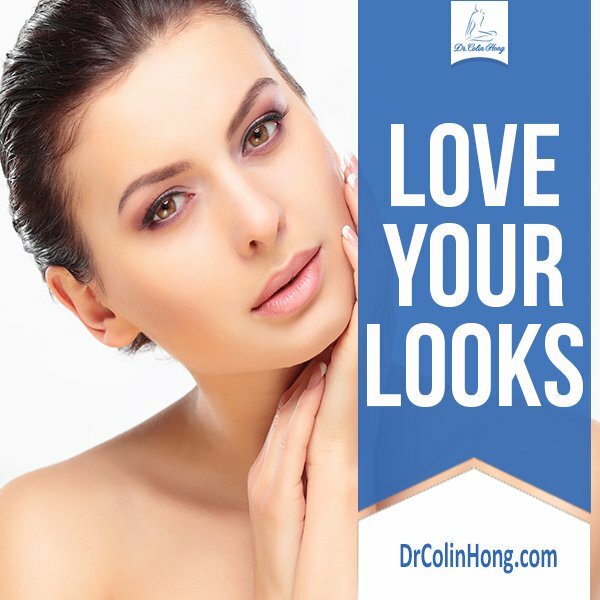 The surgery will help to change an aging square face to more V shape youthful face and to restore areas of the face that are hallowing from aging. What is the goal of this surgery? Rhytidectomy (necklift) will set back the clock. The cheeks will be more balance and reverse back to a more youthful V shape, firmer and more balance. 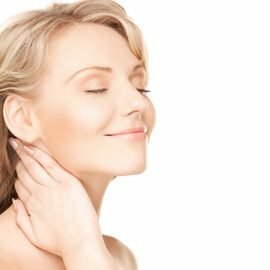 The neck and jawline will appear smoother and younger. The risks and complications are similar to other aesthetic surgery. They include local such as skin ischemia and loss and this is more common in smoker, hematoma, and nerve injury asymmetry. The systemic complications include blood clot and PE and other aesthesia risks. In healthy patients in the hands of board-certified Plastic Surgeons, the complication rates are in fact not very high. Skin care, chemical peels and laser can improve a youthful look with no significant downtime. Botox and filler injections can have a high impact on lines but need to be repeated in intervals. Laser liposuction of the neck or subdermal tightening with the laser fiber can improve the jaw and neckline without the incisions, general anesthesia, or recovery of Rhytidectomy. Fat transfer to the face can soften the stigmata of aging and restore volume to depleted cheeks and lips. These surgical options can be done in the office with local anesthesia. Would you recommend a full facelift or a mini facelift? This will depend on the age, amount of excess skin, and skin elasticity of the patient. Generally speaking, younger patients are recommended to have a mini facelift versus a full face lift, which is more suited to older patients with looser skin. What surgical approach will you use? The Rhytidectomy is done in the subcutaneous plane and the skin is separated from the deep tissue I then mobilize and use resuspend the SMAS. Fat is then used to restore areas where fat and volume are lost due to aging. Can I see different options for the possible results of my surgery? Yes. There are photos on the website and more in the office. Yes. Blepharoplasty, fat transfer to the face, chemical peels and laser are commonly done at the same time. Because skin is excised and SMAS are shifted and tighten, your results will last many years and longer. It also helps if you maintain your skin with skin care products, no smoking, and sun avoidance. Periodic treatments with no invasive procedures such as Botox, fillers, micro laser or chemical peels and IPL can keep your look youthful look. If you lose significant weight, your results may loosen. Please contact my office for the information. The incision length varies with the degree of skin excess. Generally the incision begins at the temporal region extending the edge of the side burn, hugs the inside of the ear, follows the crease of the earlobe and ends in the posterior ear crease. 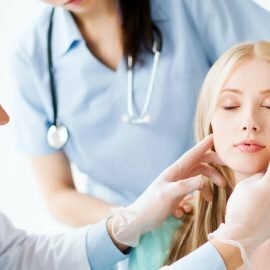 Will I have any dressings on my face after this surgery? You should have a normal working appearance at ten days to two weeks. How long will it take for my face to recover so that I can see its final shape? How long will any swelling and bruising in my face last? The majority of the swelling and bruising resolves within ten days to two weeks. How will my face feel after this surgery in the short and long-term? Your face will feel numbness and tight after surgery. The incision may be slightly tender or itchy. Pain is usually very minimal after surgery. My patients usually do not need to take any narcotic after 72 hours. You will discuss postoperative pain control with the surgeon at your postoperative appointment with your surgeon and receive a prescription. Because of the technique that I use, drains and tubes are usually not necessary unless it is of extraordinary situation. There will be scars hidden under the chin, temporal region, under the side burn, inside the ear, and behind the ear. My patients usually go home once they have recovered from the anesthesia. You should plan on recovering at home for one week. You cannot plan for heavy exercise for two to three weeks. You may drive once you stop taking narcotic pain medication and feel able to drive. You may return to work as early as one week. I usually use local anesthesia with IV sedation. You will meet with the anesthesiologist prior to the surgery in the preoperative area. You may arrange to speak to an anesthesiologist by telephone prior to your surgery date. You medication list will be reviewed prior to surgery and you will be alerted of any medications that need to be stopped. History and physical, EKG, CBC, and metabolic panel for patients over 55 years of age. Thyroid panel for patients with thyroid disorders. Stop eating and drinking at least 6 hours before the start of your surgery or by midnight the night before surgery. Arrive one and an half hour before your scheduled surgery. You can get the information on our website or call my office for direction. Yes. You will need an adult to drive you home and stay with you 24 hours after surgery. Yes, arrange for help driving, heavy lifting, and caring for pets for the first few days. Arrange for someone to take you home from the hospital after your surgery. You will need an adult to drive you home and stay with you 24 hours after surgery. Stop eating and drinking at least 6 hours before the start of surgery or by midnight the night before surgery. Do not smoke at least 6 weeks prior to surgery. Approximately 4 to 6 hours. My patients usually wakes up 10 minutes after the surgery is finished. You will receive IV antibiotic immediately prior to surgery start and additional doses if the surgery last 6 hours. The antibiotic dosing follows the national surgical site infection protocol. Make sure your identity has been confirmed with name and date of birth. Your driver’s license or identity will need to be verified at your appointment and at the surgery center. Review the surgery specifics at your preoperative appointment and again the day of surgery. You will be marked while you are awake in the preoperative area. Communicate with your surgeon. The antibiotics are stopped within 48 hours of surgery. When can I have my drains or tubes removed? This surgery does not require any drains or tubes. You may eat and drink after surgery. Start with a soft, bland diet. You will receive narcotic pain pill prescription to fill prior to surgery. You may receive IV pain medication if you need. Tell the doctor or nurse which pharmacy you prefer. Non-narcotic medications such as Compazine may be sent electronically but narcotic pain medications must be printed and hand delivered to the pharmacy. Yes, you will receive a list of medications to avoid prior to surgery and initially after surgery. Do not take NSAIDS, ibuprofen, or aspirin until your doctor approves. How do I take care of my incision and face? Just keep your wound clean and dry. How can I help reduce any discomfort and swelling in my face? Keep your face elevated and ice. You will follow up a day or two after surgery. Following this weekly appointment until you are fully recovered. When will my bandages be removed? Your bandages will be removed at your first follow-up appointment. The sutures in front of the ear are typically removed at one week and the sutures behind the ear are removed at two weeks. You should avoid bending over or heavy lifting for two weeks. You may resume sexual activity at two to three weeks. For most clients, you may return to work after one week. If you need to do heavy lifting or if you are in front of the camera the time requirement may be longer. You may drive once you stop taking narcotic pain medication and you feel capable of driving. Yes, narcotic pain medications impair your ability to drive. You may bath but do not submerge your surgical site. Smoking is dangerous for facelift. You should discuss with your surgeon if you not able to quit smoking at least 4 weeks before and 4 weeks after surgery. Skin necrosis, difficulty healing, unsatisfactory result, and unsightly scarring can result from smoking. Yes, wear easy to dress, zip up the front clothing.